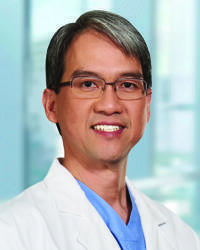 Dr. Phan is one of the leading hand surgeons in the greater Houston and Fort Bend area, and he serves as a team physician for athletics in Alief ISD. He is highly skilled in the latest technology and is gifted at putting patients at ease and thoroughly discussing their treatment options. Dr. Phan completed his residency at UTMB and his fellowship in hand surgery at UT Health Science Center in Houston.